This is the most common type of loft conversion as it is unlikely that you will need to obtain planning permission for it. 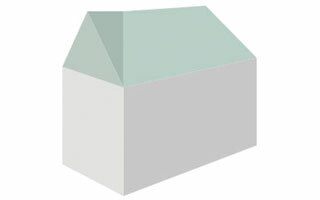 This type of conversion can also be gable or have a hipped roof. A Dormer loft conversion includes a vertical wall from the bottom of your sloping roof. A flat roof is then built to meet the vertical wall, this allows us to give maximum headroom in the new loft extension. When using this type of conversion planning permission may be required however this type of conversion gives lots of head space and is suitable for a variety of different uses such as a children’s playroom, an office or a living/social room. This type of conversion is only suitable for people with a detached, semi detached or a bungalow. Hip to gable loft conversions look to maximise a smaller existing space of properties with hipped roofs. 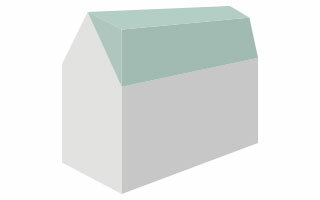 The sloping side of a roof is changed to a flat gable end to increase the overall space within the conversion. This is a very common method of loft conversion in more built up urban areas where terraced houses are more common. This type of conversion will most likely need to have planning permission from your local planning office and windows within this type of conversion will be housed within dormers. 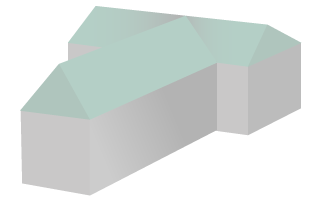 For a mansard loft conversions the dual-party or gable walls (depending on whether you live in a terraced or detached property) require to be raised to make a somewhat vertical – at least 72° – profile for the mansard. A horizontal cross section and timber framing is then added. A Roofline loft conversion is the most popular type of conversion. This type of conversion doesn’t require any modification to the roof, as the existing roof stays as it is. This is the most popular type of conversion due to the fact of the lower price as well as it not requiring any planning permission. If you are looking for a bit of extra space for a nursery or office this would be a fantastic choice. This type of conversion is sometimes called a Velux conversion. 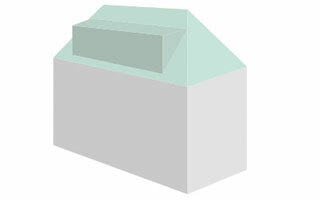 L Shaped dormers are becoming increasingly popular especially within the more compacted areas around London. With an L Shaped conversion you have lots of additional space for an extra room or even an en suite. 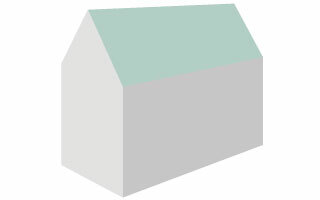 Not all properties are suitable to have an L shaped dormer conversion so please get in contact with us to discuss whether this type of conversion is for you. If you live in a house that doesn’t have a loft similar to any of the other conversion types don’t worry. We often are asked by customers to work on a variety of shaped loft spaces and we always go back to them with a fully custom loft conversion plan. We can help you get everything completed from first discussions and technical drawings all we way through to the interior design. We have worked on many house structures ranging from a T shaped house as seen above to a cross shaped cathedral as well as many more. If you’re unsure what can be achieved using your loft space please get in touch now.